← Whoops! Where’s my Inbox? I’m just back from spending the week in Bellevue and Redmond, where I attended Microsoft’s annual MVP Summit. MVP stands for “Most Valuable Professional” and essentially it’s a group of advocates for Microsoft technology organized by interest. I’m an Exchange MVP and have been since 2003 or thereabouts, but this is the first time that I was able to attend a summit. I can’t answer the inevitable question of “how do I become an MVP” because I don’t have a comprehensive answer and Microsoft’s public guidance on the topic isn’t really too specific. The best advice is to make verifiable and valuable contributions to the technical community through methods such as TechNet forums, talks at conferences, or publish articles about Microsoft technology. Don’t expect to be recognized overnight as the process does seem to take time. The summit is a mixture of in-depth product discussions with the engineering groups, ra-ra sessions (keynotes from Microsoft executives), and some hands-on opportunities with new technology. Hundreds of MVPs travel on their own dollar from around the world to attend and for most it’s one of the highlights of their year. It was good to meet many people whom I only knew as contributors to different email discussions. The Exchange MVPs are a good bunch of people! Apart from the serious business of the technology briefings, a visit to the Microsoft company store is also included to allow attendees to buy hardware (keyboards, mice, X-Box stuff), software, or various items of Microsoft branded clothing and other things. 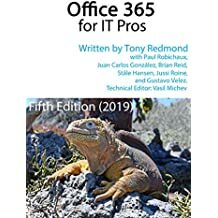 Some technical books are stocked by the company store, but I was a tad dismayed to find the world’s worst Exchange 2010 book (you know who you are…) on the shelves and no trace of the Microsoft Press titles such as Microsoft Exchange Server 2010 Inside Out . Of course, I made my feelings on the topic known to Microsoft Press but there’s really nothing that can be done as the store is operated as an independent entity that makes its own decisions about what to stock. All of the content of the sessions is under strict NDA so I can’t comment on the details of what was presented. I can say that two of the three keynotes were moderately interesting and that Microsoft introduced a bizarre half-time “entertainment” when someone dressed in a moose costume came out on stage and performed some weird dances before plunging into the audience to meet and greet some startled recipients. The locals knew that the moose was the mascot of the local Seattle Mariners baseball team but the international attendees were a tad taken aback by the moose’s gyrations. The sessions with the Exchange development group were the real reason to come to Redmond. It was good to be able to discuss some of the finer points of Exchange 2010 and to hear about initial thinking about how the product might evolve over the next few years, especially now that the cloud (Office 365) is front and center for many. I don’t think it breaks my NDA to observe that the best comment of the event came from a PM who provided a wonderful analogy comparing the rear orifice of an elephant to the entry point for RPC-over-HTTP communications. Of course, the important point is to always check that you have the right certificate before you enter the elephant else it’s likely to be really messy. OK, it was funnier to hear in person and made a suitable impact on the MVPs who were there… I shall never be able to consider the topic of Outlook Anywhere without grinning again and that can’t be a bad thing. Microsoft does a nice job of taking care of MVPs when the summit is in town and organizes different evening get-togethers for people to attend. I only attended the Exchange/Lync party on Tuesday night as I had other commitments, including the chance to meet up with Penton Media (the publishers of Windows IT Pro magazine and partners with Paul Robichaux and myself in the Exchange 2010 Maestro events). Penton offered drinks and dinner in the Purple Cafe in Kirkland and quite a few authors turned up, including the redoubtable Mark Minasi (whose jokes haven’t improved over time) and Mark Russinovich of Sysinternals fame. Travel out was by British Airways on the DUB-LHR-SEA route. Aer Lingus delivered its normal bus-like service between Dublin and Heathrow. BA uses relatively old B777-200s on this route and the airplane (G-VIIE both ways) showed every sign of having had a long and busy life. Both flights were completely full, which didn’t help, and the standard of BA catering and in-flight entertainment is now well behind the standards set elsewhere, so that was a further dampener. The transit through Heathrow was better coming back than going out. For whatever reason, BAA forces people who come through security in the Flight Connections center in Terminal 1 to go through security again in Terminal 5… but don’t do this when you land at Terminal 5. I also have no idea why BAA needs to take pictures of every transit passenger – it seems like a unique control that only BAA feels the need to do. In any case, on the other end SEATAC airport was easy to get through and offered free wi-fi to pass some time, so that was appreciated. I also took the chance to take the 560 bus from downtown Bellevue to SEATAC to see how effective it was in comparison to the taxi or shuttle transits I’ve used in the past. The bus took a little longer because it wended its way through places like Renton, but its price point ($2.50) can’t be beaten in comparison to the $19 that Super Shuttle charges or the normal $45 or so fare that will be clocked up in a taxi. The weather in Redmond and Bellevue reminds me a lot of Dublin – low cloud, grey skies, and lots of rain with much the same temperature. Next week I’m in France to grapple with the intracies of installing home Internet with a France Telecom “Livebox” before traveling to London for the England v Scotland Six Nations game. All in all, a reasonable change of pace from this week’s summit. This entry was posted in Exchange, Technology and tagged Microsoft MVP, Most Valuable Professional, MVP. Bookmark the permalink. I totally agree about BA Tony. I regularly travel to Houston with them and since they moved to T5 from Gatwick they have removed the 777 from the route and now use ageing 747’s. Its bad enough travelling 10 hours in BA Economy, but the food and rather small and always faulty seat back screen don’t exactly help the hours fly by. I think next trip will be with either United or KLM via Schipol. Yeah, the BA LHR-SEA flight is very expensive comparatively; this time I flew to Paris for the Air France CDG-SEA flight – the standard of care and food was much better (they use Airbus A330s).